This handloom cotton fabric is in light pink mixed with beige. I wanted to do a medium sized motif repeat pattern for a yoke,for quite sometime. 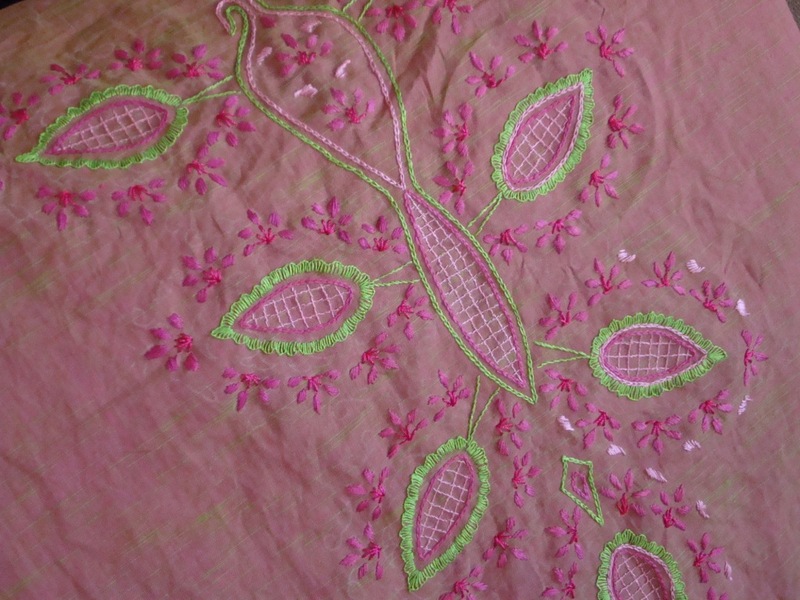 For this set, the salwar[Indian pants] is block printed cotton in dark pink. The basic pattern is in oval shape, which is repeated all over the yoke. The colours used were pink& green, apt for creepers,flowers& leaves. 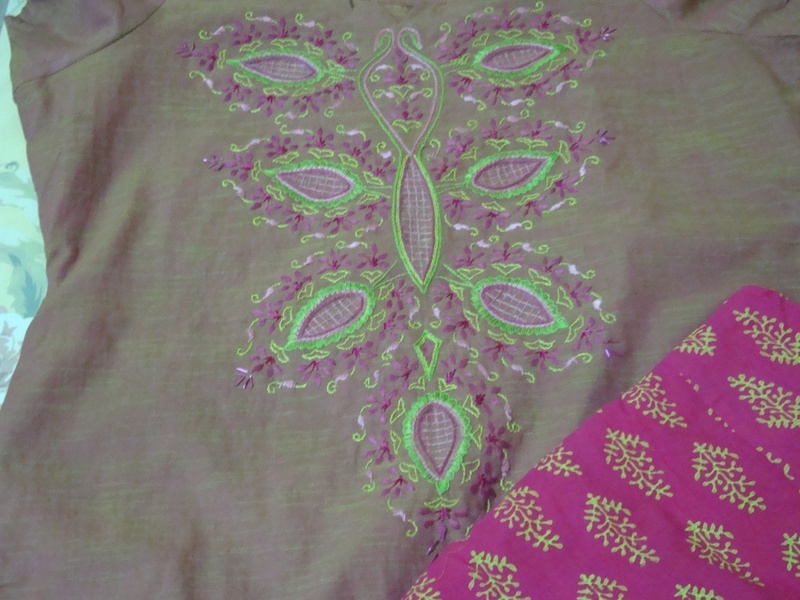 Now, the finished yoke with the salwar. 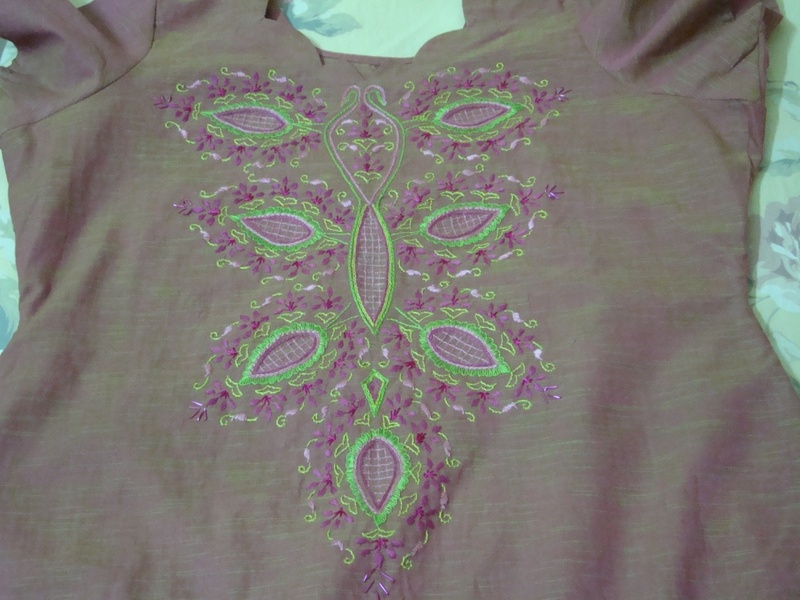 Though the basic pattern is not very big, by repeating it,we can have a big embroidered yoke.A few years back, I had a store bought tunic, embroidered[machine] with this type of yoke, This tunic is inspired by that.